If we don’t support our own – who will? That is the question and notion that has been the driving force behind the Uptown Collective since we began broadcasting on a daily basis in February of 2010. The Uptown Renaissance was already a thing back then, we just gave it the name. Uptown has survived some dark and desperate days but has emerged as a neighborhood reborn and revitalized. Uptown is on an upswing. Uptown did that. The people of Uptown did that. 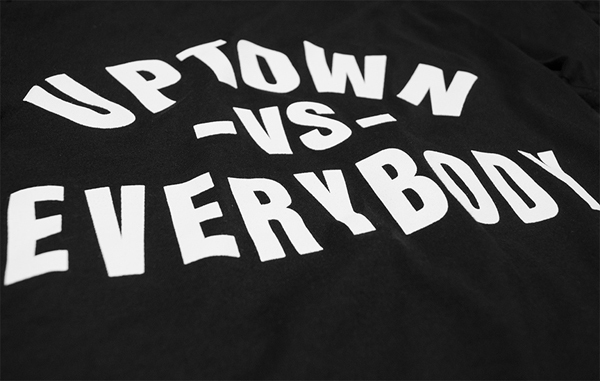 It is that can-do spirit that has inspired our latest offering; The Uptown VS Everybody tee. 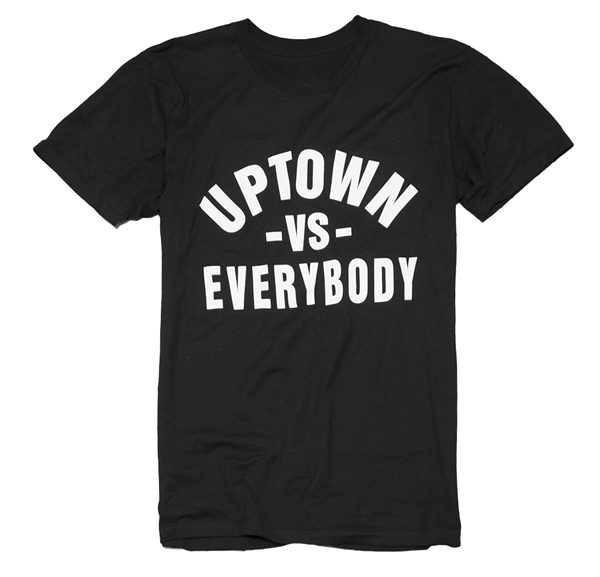 You already know… Spread Love It’s The Uptown Way!